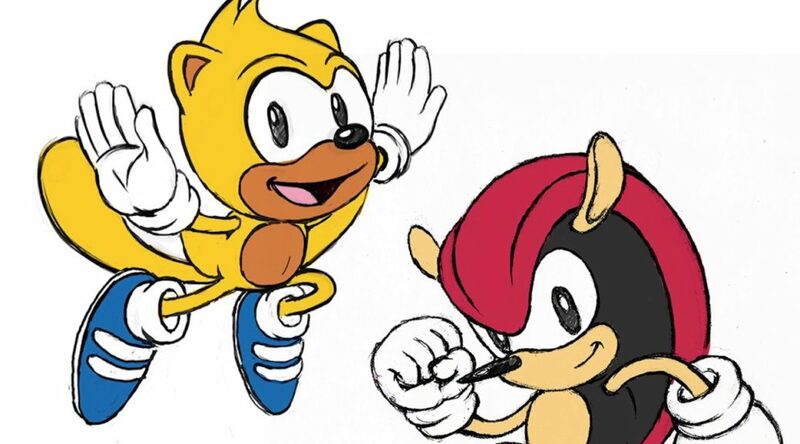 SEGA and Sonic Team have released the first developer diary for Sonic Mania Plus, sharing with fans details on the art and design of Sonic Mania Plus. Featured in the video are Sonic Team Creative Director Kazuyuki Hoshino and Sonic Mania Plus Art Director Tom Fry. The wait is almost over! Sonic Mania Plus, the definitive version of the critically acclaimed platformer Sonic Mania, is set for release on July 17, 2018. As fans wait for the game’s launch, SEGA released a two-part developer video series that gives a unique look into the upcoming game as well as a retrospective of the original Sonic Mania. Part 1 with Kazuyuki Hoshino (Sonic Team Creative Director) & Tom Fry (Sonic Mania Plus Art Director) released today as the duo dives into the exciting additions coming to Sonic Mania Plus, including newly added features, playable characters, and collectible packaging. Tom also discusses the backstory behind the creation of Sonic Mania Plus and the working relationship between him, Hoshino-san and Sonic Team.